K.C Tansley lives with her warrior lapdog, Emerson, and three quirky golden retrievers on a hill somewhere in Connecticut. 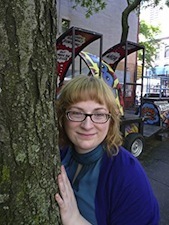 She tends to believe in the unbelievables--spells, ghosts, time travel--and writes about them. Never one to say no to a road trip, she's climbed the Great Wall twice, hopped on the Sound of Music tour in Salzburg, and danced the night away in the dunes of Cape Hatteras. She loves the ocean and hates the sun, which makes for interesting beach days. Thanks for sharing my cover today! This fictional story is very interesting. I like both the genre of horror and mystery. The author really had a creative imagination as she weaved all the scenes from book1 to book 2. 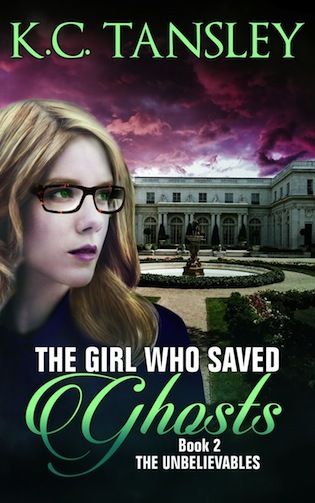 From the title itself "The girl who saved ghosts", there are a lot of questions you will think upon reading it. The mystery quests of the protagonist, Kat, is very fascinating. Now that in book 2, she had Evan as her companion in solving the mystery. I believe that all the readers will surely enjoy reading this story.